Wader Quest: We've done it!!!!!!!!! Elis and I are pleased to announce that today we have passed our £3,000.00 target with one day to spare! 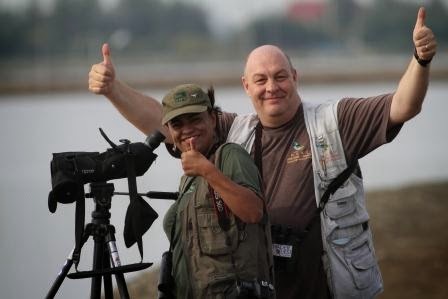 Your donations will shortly be passed on to the WWT to help fund the captive breeding programme and it was that man Peter Sharland of the Wader Quest South Africa team that made the donation that took us there. Our friends in South Africa have supported us throughout this quest acting as hosts and guides for our visit there, raising money through WQSA talks and more recently Sue Oertli's Gauteng Challenge plus many personal donations too like this final one of Peter's. Without the WQSA team's contribution we would have found it very hard to reach our target. In the last day or so we have also received a number of donations that brought us so close, there was Riitta and Aplo Parkkonen from Finland that we met on the Banjul Barra ferry with Juha Siakkonen who also donated, and there were others from Nina Nuora and Arga G. Thanks to these people and everyone who donated over the last 15 months, we are extremely grateful for every penny that we have received in whatever denomination or currency. Happy or what!?! This was us when we saw the spoonies for the first time November 2012. Just because we have reached our target this does not mean that we will not accept more donations should you wish to help the spoonies too, we have arranged an extension until at least the 9th of February. 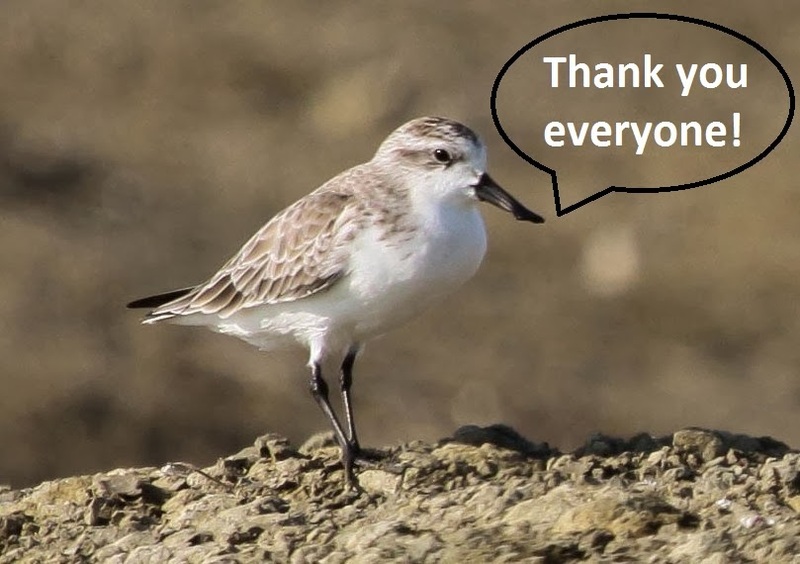 We are very pleased that we have succeeded on this our first project and hope that those who have supported us will continue to follow Wader Quest's development into a charity dedicated to raising funds for wader conservation projects in the future.